Termites can be extremely problematic for your home, even if they might seem inoffensive at first. They can damage your home’s structure, and at the same time they can also compromise the safety of your home and your entire family. If you see any type of termite damage, it’s important to contact a Gold Coast pest control and inspection service as quickly as possible. Even the simplest termite inspections can uncover major problems. If you are purchasing a property, it is also important to get a pre-purchase pest inspection to ensure that the property you wish to buy is not already infested with termites or has early signs of termite infestation. Pre-purchase pest inspections are an affordable way to ensure you don’t purchase a property which is already infested with termites. Take control early before it becomes very, very expensive. We have detailed 5 signs of termite damage below. 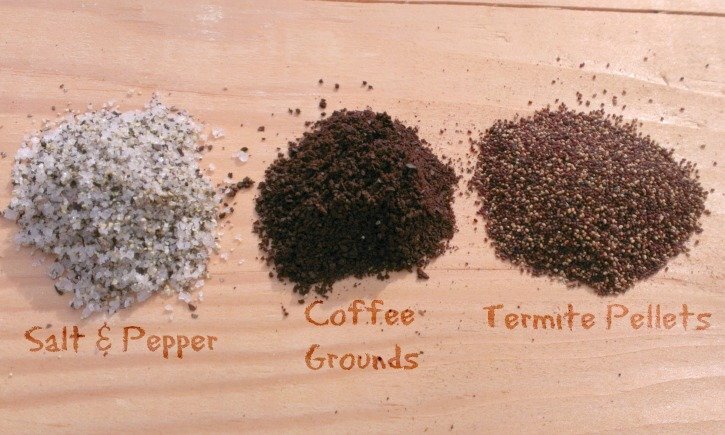 Subterranean termites: have a nest structure with a nursery and a foraging gallery system that must be connected to the soil as a source of moisture. Galleries within timber have walls plastered with faeces. External galleries are of mud or carton material. Most termite species are subterranean in habit. 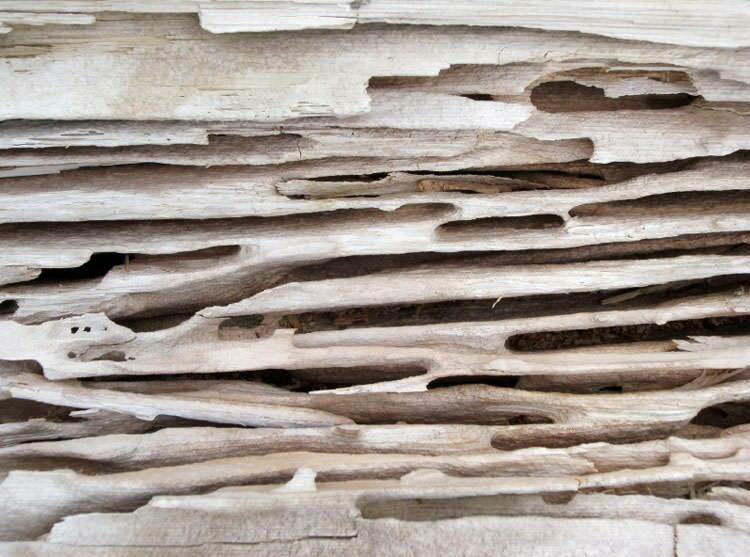 Drywood termites: live entirely in galleries within timber except for very short bridging galleries between adjacent pieces of timber. There is no connection to the soil. The walls of these galleries are clean, as faeces accumulate as free running pellets or frass, about the consistency of coarse pepper. One of the main things that termite pest control professionals will notice are termite droppings. Termites are known for pushing their droppings at the entrance of their nest. What you want to do here is to search for some black marks (termite droppings) around the area where they are feeding. It is also very important not to touch or make loud noises near termites. As soon as termites detect any danger, they will retreat deeper into your home and will make it difficult for pest control services to eradicate the pests. If you find droppings, call a pest control specialist or termite eradication specialist ASAP. Wood tunnels are specific to termites. They are hard to see from the outside, however if you see that a piece of wood breaks and there are tunnels in it, then you most likely have a termite infestation. 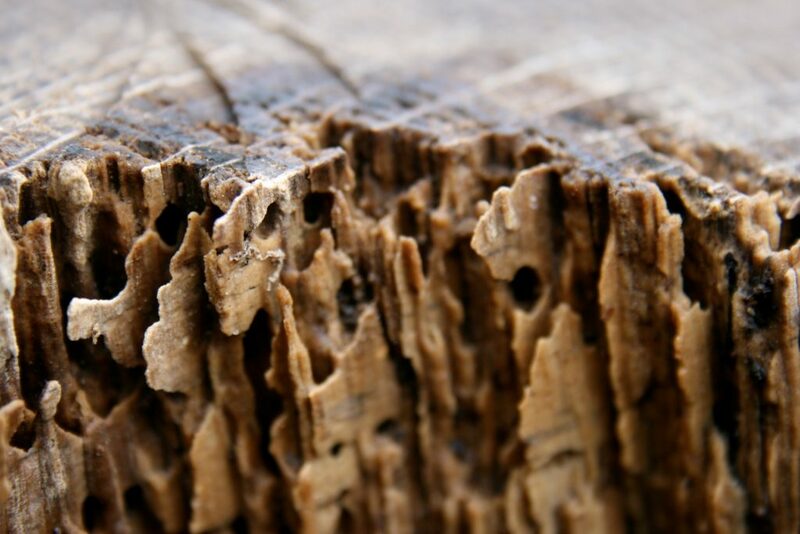 If you do see a rotten piece of wood that you suspect is from termite infestation, do not touch or break off the wood, it is important to not disturb the termites. Termites prefer to eat soft wood and are unable to eat through hardwood timber used in Australia. If you suspect that there are wood tunnels from termites in your home, you should call a Gold Coast pest control service as fast as possible. Although sometimes your doors and windows don’t open properly due to weather changes, this can also be a sign that you need to call termite pest control. 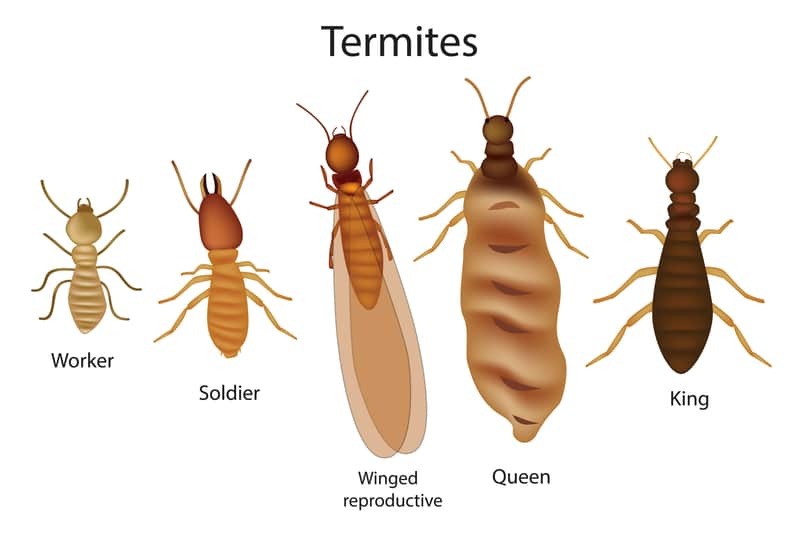 Most of the time termites can create tunnels through your doors and windows because they are usually built with softer timber and are easier to be accessed by termites. This issue will cause a major malfunction and will also encourage termites to venture further into the property and start eating at the structural timber frame. Termites will also cause wood warping. White ants are not actually ants or termites, they don’t even exist! The term white ants is used interchangeably with termites. 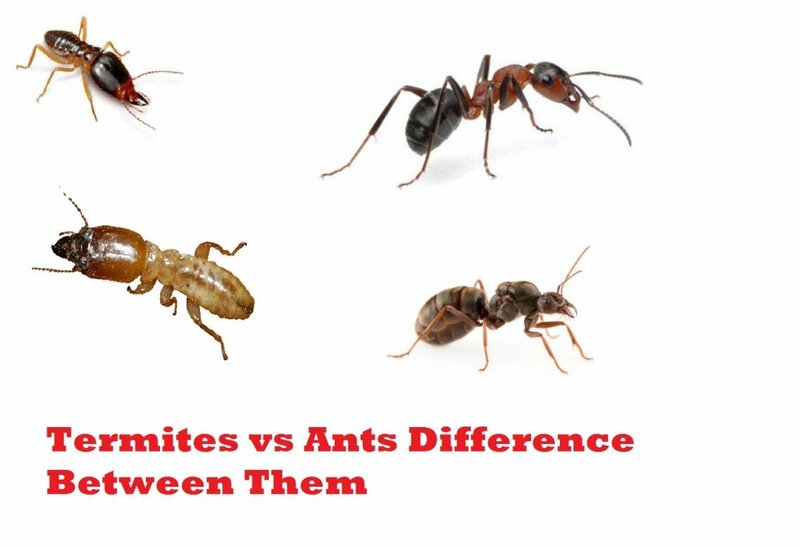 You could either have ants or termites. People often refer to termites as white ants. Termites have a creamy white color, wide waist and straight antennae. Ants are similar size but have smaller waist and elbowed antennae. If you are unsure, contact a pest control expert like Top Dog pest Control and we will be able to tell you whether you have termites or ants. Either way, we will be able to control your pest infestation. This means termites got to it and that piece of wood is unusable. From the outside, the timber might look perfect but it is only because the termites eat from the inside-out. They leave a very thin piece of timber on the outside so it looks like a normal piece of wood (cheeky buggers!). Before you replace it, you should consider calling termite pest control services as fast as possible. It is important not to disturb the termites or alert them to your presence. There are also a number of hotspots on the Gold Coast for Termites. “Palm Beach homes are renowned for termite infestation and we have seen a fair few cases recently in Helensvale and Oxenford…. I would say more than 45 per cent of houses we are treating at the moment are related to termite damage.” Owner of Gold Coast Classic Renovations said. If you have early signs for termites or are unsure, please contact us today. 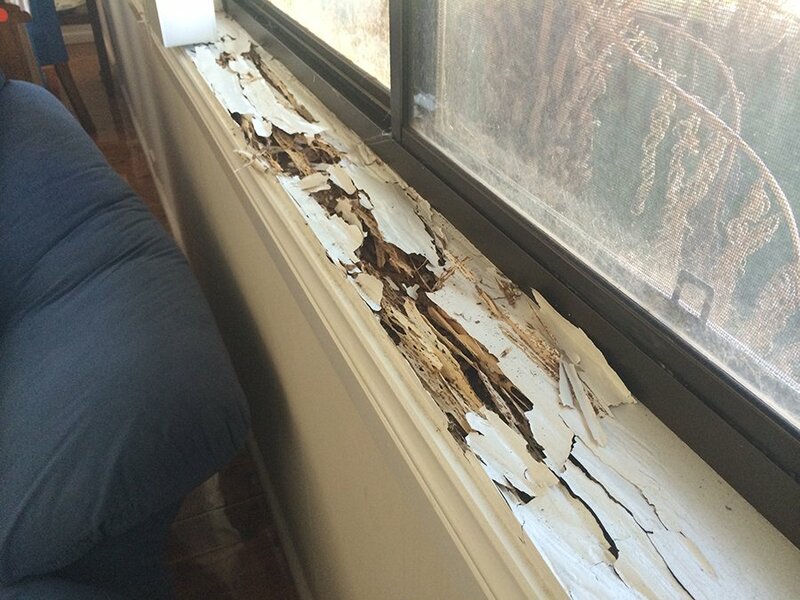 It is much easier (and cheaper) to take care of termites before the problem becomes too big. Don’t wait until it is too late, take control of termite infestation today with Top Dog Pest Control – the Gold Coast’s #1 Pest Control Business. If you notice any issue from the ones listed above, we recommend you to call a pest control and inspection service. It’s never easy to learn that you’re dealing with termite damage, but you have to action the problem as soon as possible. Once you do that, you will find it easier to eliminate all problems naturally, and you won’t end up with a hollow home. Termite removal solutions are a cost effective way to secure the structure and safety of your property. If you leave it too long, the repairs you have to perform after a termite infestation will cost a whole lot more and could sometimes be unfixable! That’s why we recommend you to work closely with a pest removal service as soon as you see any of the signs listed above. It is also valuable to have a pest control team install termite prevention methods and have your home regularly checked by a specialist. Better to be safe than sorry! If you have any questions about termite infestations, termite eradication, termite prevention or other pest control services on the Gold Coast, please contact us, we would love to help.